Jeff Cox submitted this photo and caption. This is my son Logan (five months old in this picture). 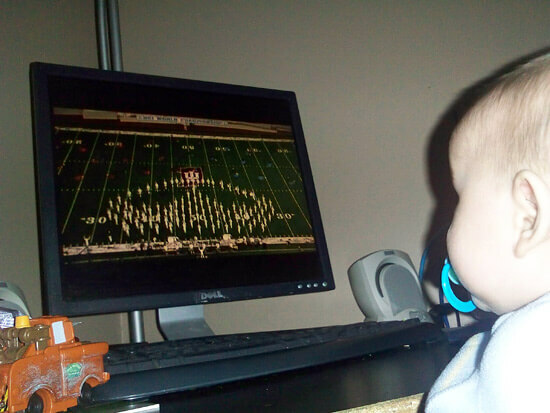 I've been getting him geared up and ready for the season with some Video On Demand thanks to the Fan Network! He's lovin' what Crown's putting on the field lately!